TMJ is an abbreviation for the “temporomandibular joint.” This includes the bone structure, muscles, and connective tissues that lie on either side of the jawbone. This joint connects the lower mandible to the rest of the skull, and controls opening and closing the jaw, as well as chewing. It is important to treat TMJ disorder to protect the bite and the teeth, and to relieve you from its symptoms. TMD often causes jaw pain that may be mistaken for recurring tension headaches. If you are experiencing frequent headaches or migraines and are unsure of the cause, TMD is a likely candidate. These types of headaches will not respond to other headache treatments, but can be reversed by treating the joint itself. TMJ mouth guards are a noninvasive solution to TMD. We construct our night guards from a pliable, soft plastic that gives you a comfortable fit. You wear your mouth guard while you sleep to prevent tooth grinding and muscle strain. When worn, the splint allows the muscles and ligaments of the jaw to relax. This relieves the tension and pain associated with TMD. The splint will gently prevent tooth grinding, which may be the cause of your TMJ pain. The splint will also promote a better bite, as overbite or underbite may be causing your TMD symptoms. When the bite is in a more optimal position, tension in the jaw is alleviated. Come see us for customized care! 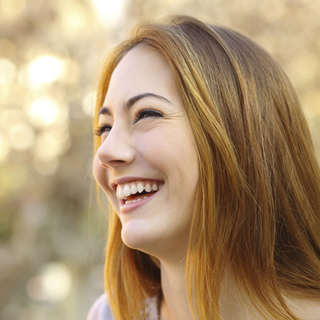 Let’s take a look at your jaw and determine which TMD treatment is best for you. Contact us today to schedule your appointment and gain your freedom from TMJ pain!